This is what we get for letting the post office raise the prices. I mailed two boxes and they are even on the same recipt. 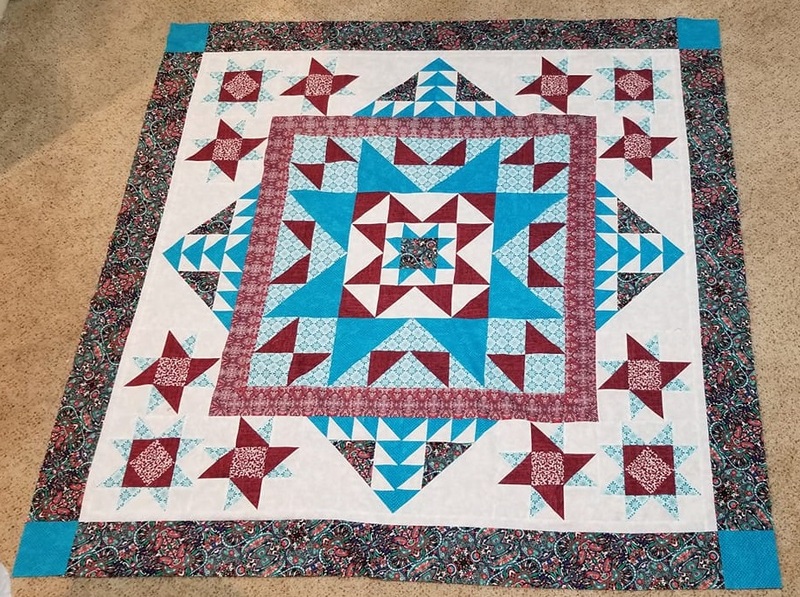 One to my SP and they said Monday and the other box to Harriet with 2 more quilts. They promised Sat. and it did not arrive. Now says it was delayed and is still in transit. Received a swap package from cuppy yesterday! Lovely dog and food themed fabrics, heart-shaped cookie cutters, adorable spatula and brush set. and a package of lavender seeds (my favorite flowering plant!). The seeds are already put away for spring. Cuppy's card features Sharpeis- I raised one from a puppy and had him for over 14 years! On Sunday, I made a quilt top for my SIL's birthday. Quilt it tonight so it is ready for her tomorrow. She loves turquoise and burgundy. Have4boys, that quilt top is amazing!! SP Clue: What comes before summer and after winter? Note: I wanted to grab some things from the internet and my order might come late which means I might end up mailing on the last possible date I'm sorry for the wait. on another note. I have been shopping online for fabrics and have not been sewing much these days. Since my gym session was canceled I decided to take out a pattern and trace it today ( have been sewing mostly knits/apparel lately) For anyone interested I will post photos below!! Also I have been itching to make a bag though and do more quilting! I am so afraid of zippers, they never come out good for me. I always mess up the ends. Can anyone relate? Very nice. I love the lemons one. Have you watched a Youtube tutorial for zippers? Wow! Did you sew those amazing clothes? Very nice I like those kind of clothes and I have to pay a lot of money for them. Thank you! I did make them. 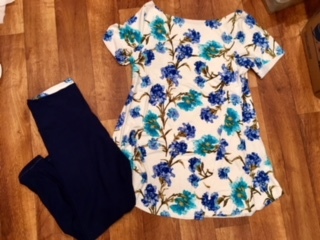 I have been making clothes lately rather than quilting but I enjoy both so much! Very cute, frsur33! 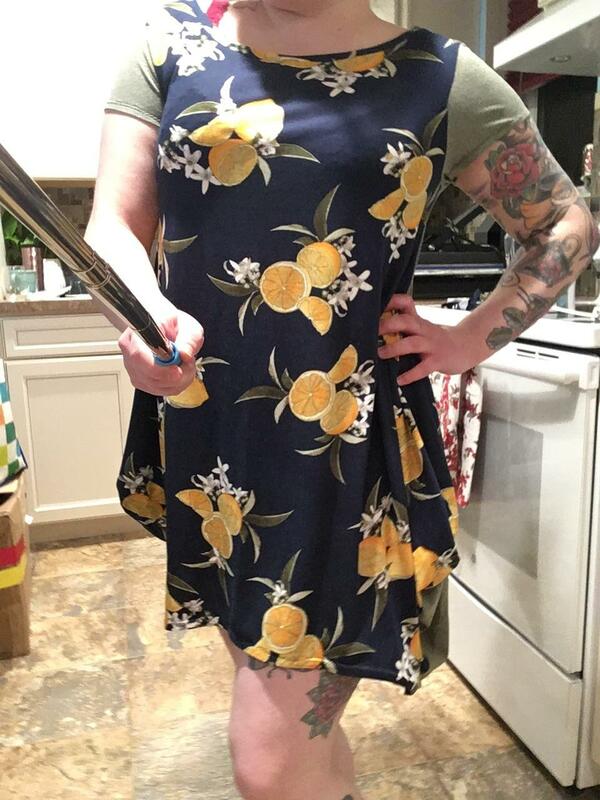 I especially like the lemon dress. You can sew for me anytime! frsur33 I like garment sewing also. I just got a great pattern. See and Sew BG368 Easy one. I am sure your Secret Pal won't mind once they know why it runs late. cuppy, Thank you I will check it out! Do you sew with wovens, knits both? I have been using from PDF pattern companies I like patterns for pirates the most. It's a little bit of a pain to buy online (with printing and extra tracing) but they have a lot of good resources and a great online community for support. I have gotten a few wovens in a mystery package, I'm afraid to use them! I got my package today!! From Pam, thank you!!! 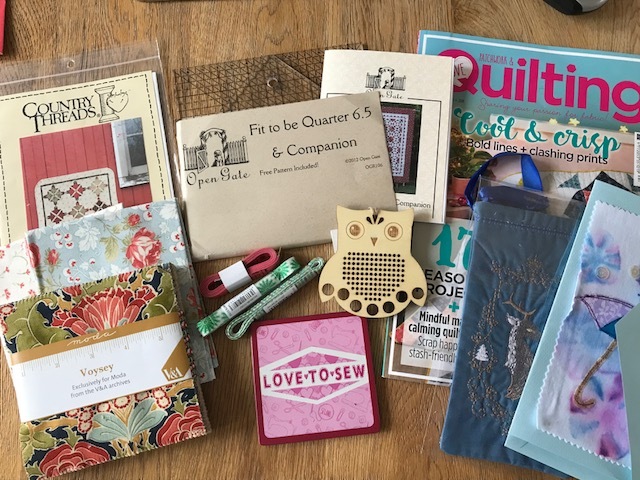 A beautiful assortment of fabrics, a frixion pen!, cute bracelet, mini stitchery frames, matchox quilt and an adorable calendar tea towel I failed to add to the photo But it is so beautiful. I love it all thank you so much! I recieved the most amazing box from Battleaxe. A large box stuffed with fabric, zippers, ribbon, a pattern, some cross stitch paper, ...did I mention fabric? I mean yards and yards! Oh yeah, and some yummy and healthy dog treats for little Ellie. Thanks so much Battleaxe, I love it all! I really did get spoiled this month!! I sent mine to my SP today so hoping they will have it to play with by the weekend! You are welcome Pamela, I read over the bio and stuff just kept falling from the shelves of my stash into this BOX. I actually had to buy the dog treats. They came from Chewy in the same box as my kitty food. I called them and said it was a Bishon ???? and that is what they suggested. I guess 9 out of 10 Bishons agree those are tasty. My husband completely surprised me. My Valentine's gift. SP, your package is on its way to you! Expect it on Tuesday. Hope you like it! Hav4boys, that is amazing you are going to love it? Have you had one before? Thank goodness the package I have waiting for came in today. So I'll sent my sp package tomorrow. I don't know if I will order from this company again. I ordered the things the day after I received her name and it just now got here. This is the second time this has happened. I do like their products but I don't like cutting it so close to the last day. I am just glad that it got here. So SP I'll let you know tomorrow when you can expect a package in the mail. Received a big secret pal package today! Thank you Gaijin! I received some fun camper fabric. We just bought a new 2019 Class C RV, and I think this would make a great picnic table cover. 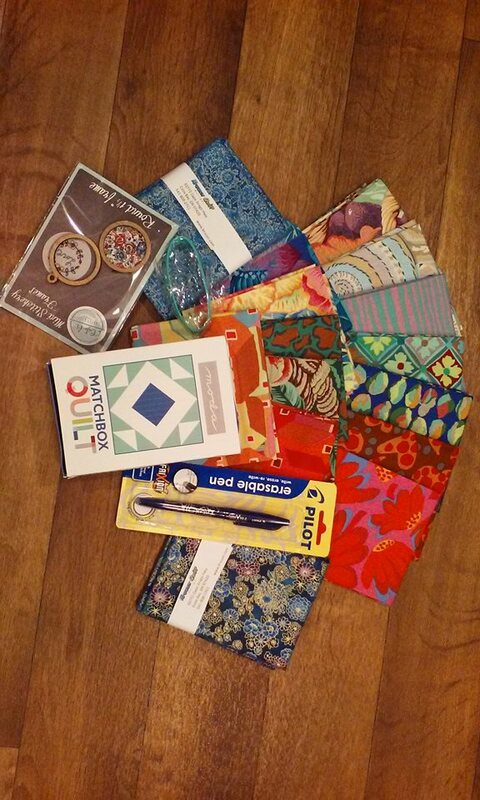 Also received some yummy FQs in a bundle of teals, blues ,grays, my favorites. 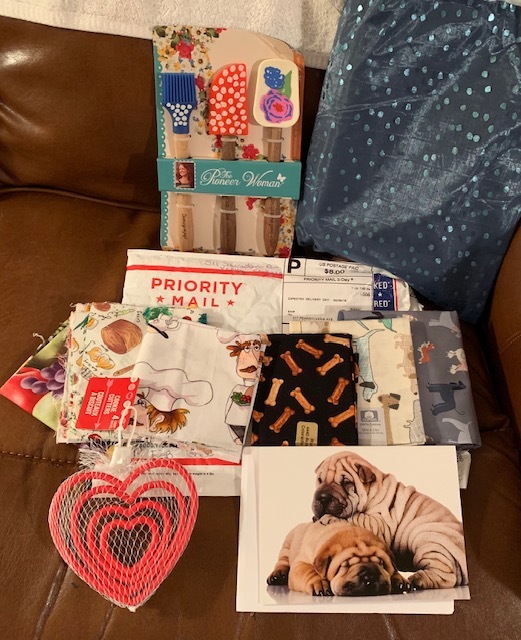 Japanese clover pins, insulbrite, fun socks, lavender soap, A chocolate bar, and some doggy treats for Bingbing, our sharpei. Deborah, also sent me a pic of her sharpei, just love it. Thank you so much, We were secret pals for each other. What fun, thank you again. Well it's in the mail. SP you should receive the package on Tuesday the 19th. Sorry you had to wait so long. Hope you find something inside you will enjoy. 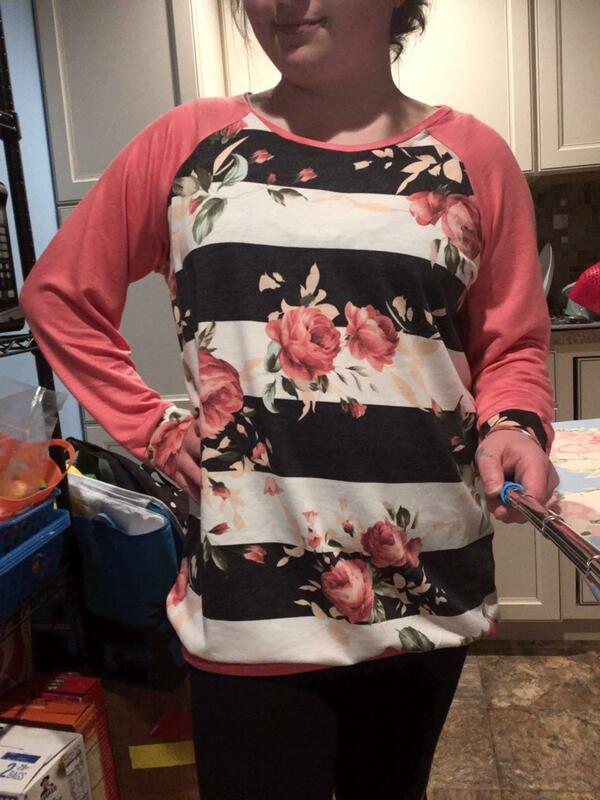 Hi Guys, I received my package from Rachael yesterday and I have posted a picture below. Rachael, I can’t PM you to say thank you personally because I don’t know your screen name.... but hopefully you will read this... so Thank You so much for everything. I have never seen those rulers before so I will research them and give them a go. Thank you again for being my swap sender. Last edited by CarolinePaj; 02-16-2019 at 04:21 AM.